The BEST Cell Phone Buyer Tempe has! Do you have an old cell phone just laying around the house gathering dust? Just want to upgrade to a new iPhone? Is it running too slow? If the answer to any or all of these questions is yes then you need to know that Tempe Pawn and Gold will buy your new or used iPhone, Android, or Smart Phone you might own. You’ll take in a Used Cell Phone? The Million Dollar Question; and the answer is yes, but only the latest models of that kind. For Example, A Samsung Galaxy S10 will be welcomed with open arms. An S9 and below? Probably not. So remember, the older the phone (meaning under 2 years from the current date, as phones become outdated every two years), the less likely we’ll take it. Otherwise, just bring it in! Whatever the case, we’ll gladly buy used cell phones from you today. Don’t let that phone collect dust in your closet, get money for it now! Come see why we’re the top used cell phone buyer in all of Tempe, Mesa, Scottsdale, and Chandler! Bring in your old cell phone, any brand, any style and walk away with cash today. Used, Factory Ready or LIKE NEW – We see their value. If you have a cell phone no matter new or used, you need to bring it on down to us to get fast cash. We didn’t become the number one pawn shop in Mesa, Tempe, and Phoenix for nothing! We have all seen or heard the ads on TV and radio wanting you to send in your old phones but why wait? Why sit around and wait for someone to send you a check for a lower amount when you can come into our pawn shop and get your money right away? What Kinds of Phones Will You Buy? The easy answer: most of them! Smartphone, flip phone, slide phone, whatever phone, we will buy it from you for top cash. 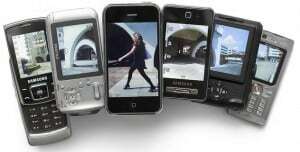 As the top used cell phone buyer, we will buy all used cell phones from you. There are no brands too good for us at Tempe Pawn and Gold. Maybe you think it’s too cheap, but think no more! Just bring your used cell phone down to our pawn shop whether you’re in Tempe, Phoenix, or Mesa, and we will give you immediate, fast cash! The one thing we should talk about is what we do require to buy cell phones. The process is simple enough, so we only need one thing from you. All we need is the charger and core accessories that you use for it so that we can power it up and test it to make sure it works. Outside of that, all you really need is the phone and you can get fast cash from the top used cell phone buyer Tempe has to offer. Android, Blackberry, Verizon, AT&T, T-Mobile, Droid, Windows, Samsung, Nokia, LG, HTC, Sony, Motorola, iOS, ZTE are brands we accept. NotePads and Tablets, we’re willing to pay you the most money on the spot! We also have a great selection of phones for you to choose from all at discount pricing. You can even trade in your used phone to get the best price possible. You save time and shipping in some cases. So why wait? Come to Tempe Pawn and Gold today and sell your cell phone and/or tablet today! Proudly servicing Mesa, Scottsdale, and Chandler.